THINK Fund at Hawaii Community Foundation (HCF) Scholarship applications are currently being accepted through HCF's common online scholarship application with a February 18, 2016 deadline. Applicants are also considered for other scholarships that they qualify for from the over 200 scholarships HCF has available. Degrees or certificates in STEM-related fields being completed by students from Hawai'i Island. This marks the second year of the THINK Fund at HCF Scholarship Program, benefitting graduates of Hawaii Island high schools who are seeking STEM degrees. Scholarship funding is part of the annual $1 million commitment from the Thirty Meter Telescope to prepare Hawaii Island students to master STEM and to become the workforce for higher paying science and technology jobs in Hawaii's 21st century economy. In 2015, 24 students from across Hawai'i Island received awards from THINK Fund at HCF ranging from $3,000 to $7,500 each. Recipients are from diverse parts of the island with 14 from East Hawai'i and 9 from West Hawai'i. The students are at various stages of their education pathway with half of the students experiencing their first two years of college. STEM majors supported through THINK Fund at HCF are wide-ranging and reflect the current and emerging economy of Hawai'i Island. To apply, visit http://www.hawaiicommunityfoundation.org/scholarships/how-to-apply-for-scholarships. "Ultimately, the goal is to strengthen our island workforce by helping students build their strategic thinking skills and increase their abilities to tackle real life, local projects and job opportunities," says Sandra Dawson, TMT Manager, Hawaii Community Affairs. Students pursuing studies in the fields of nursing, marine science, aerospace engineering and natural resource management were among the 2015 recipients. 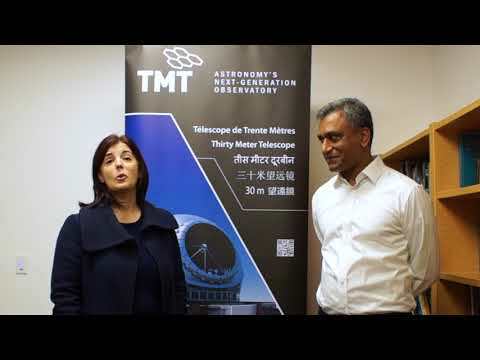 The Thirty Meter Telescope provides an annual contribution of $1 million to The Hawaii Island New Knowledge (THINK) Fund with $750,000 committed to the Hawaii Community Foundation and $250,000 to the Pauahi Foundation.